This machine is used for aluminum cap make screw or tied the bottom decoration. 1. Easy adjusting for various size bottles. 2. The mould is quite cheap. 3. Quiet when it is working. 4. Suitable for the factory which have various production line, sample making, small or medial producing capacity. 5. 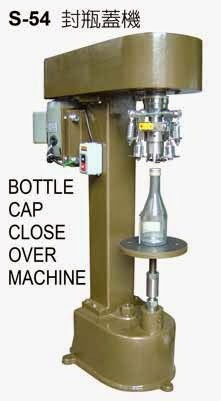 Application: suitable for the aluminum cap used on wine, glass bottle, injection bottles, plastic bottle, iron bottle, perfume bottle. It is also used to fasten up the plastic cap. 6. High quality which have steady order from japan.